Will Waluigi ever join Super Smash Bros. Ultimate as a playable character? Fans continue to hold out hope that Sakurai will change his mind and give Waluigi a chance. During today’s Nintendo Direct, several new characters were announced for Super Smash Bros. Ultimate including King K.Rool, Simon, Richter, Chrom, and Dark Samus. Absent yet again was Waluigi despite an ongoing fan push to convince Nintendo and Smash director Masahiro Sakurai to add him as a playable character in Ultimate. To quickly recap, Waluigi is only available as an assist trophy in Super Smash Bros. Ultimate. Following the reveal of Ultimate at E3 2018, gamers began requesting Waluigi as a playable character. It doesn’t matter if he comes in the form of DLC, gamers simply want Waluigi to get his time in the spotlight. The main arguments in favor of adding Waluigi as a playable character point to the inclusion of unexpected new characters such as Ridley, and the sheer size of the character roster as a whole, and the tagline proclaiming “everyone is here.” Everyone except for Waluigi. Of course, there are also arguments against the idea which call into question how Waluigi would work as a fighter. It’s been noted that Sakurai is aware fans want Waluigi in Ultimate. In fact, Nintendo of America’s Reggie Fils-Aime also hears the requests and has previously spoken on the Waluigi issue in an interview with Waypoint. “Nintendo does not hate Waluigi,” Reggie explained. “I mean look, we’re making every character that’s ever been in a Smash Bros. game available in Super Smash Bros. Ultimate.” When the interviewer points out that Waluigi is only available in limited capacity as an assist trophy, Reggie elaborates on the situation further. 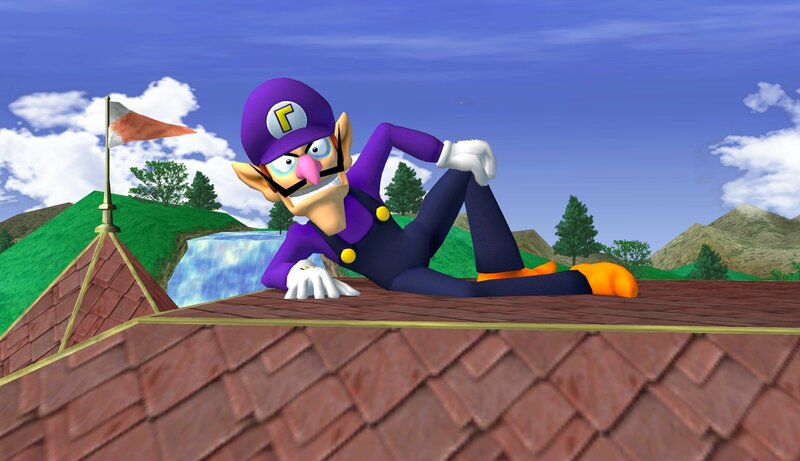 Gamers want Waluigi as a playable character in Super Smash Bros. Ultimate. So, will Waluigi ever join the Super Smash Bros. Ultimate as a playable character? The easy answer to this question is no. It’s not just a matter of how Waluigi would work as a playable character, but how Nintendo approaches game development as a whole. Waluigi first made his debut in 2000’s Mario Tennis. Since then, he’s never been given the opportunity to be a playable character in the Smash series. Instead, his appearance is always limited to the role of assist trophy in games like Melee, Brawl, and the upcoming Super Smash Bros. Ultimate. What’s more, Waluigi has never had his own game. Meanwhile, characters like Toad who has a longer history with Nintendo and his own games also doesn't get the privilege of joining Ultimate's roster of playable characters. Some would argue this is because “no one really likes Toad,” but do fans really like Waluigi that much more to warrant making him a playable character? We see merit in the argument that if Nintendo is going to take the time to include so many characters to the Ultimate roster, they might as well throw fans a bone and make Waluigi a playable character. His addition as an assist trophy seems to have been a default decision. Because he’s only ever existed as an assist trophy, it makes sense they'd bring him back as an assist trophy. It’s doubtful that Nintendo expected the huge outcry for Waluigi to be an actual playable character. To make this happen, numerous game tweaks and additional play tests would be needed. As such, if Nintendo changes their mind the most likely scenario is that Nintendo releases Waluigi as a playable character later down the line in the form of DLC. As silly as it may seem, there’s really no reason not to experiment and try Waluigi out as a playable character. After all, he could certainly stand to benefit from added character development. We don’t know much about Waluigi other than his creation as an evil foil to Luigi similar to Wario’s relationship with Mario. While Wario has had added character development in games like Wario Land and WarioWare, Waluigi always seems to get passed over. Some would say unfairly. Seeing as how Waluigi's cult following continues to grow, Nintendo should seize the opportunity to add value to his character. Many would argue there's no reason not to entertain the idea of making Waluigi a playable character in Super Smash Bros. Ultimate. They don’t need to drop everything and give Waluigi his own version of WarioWare right this second. Instead, Nintendo should explore what Waluigi is truly capable of by humoring the concept of him as a playable character in Super Smash Bros. Ultimate. 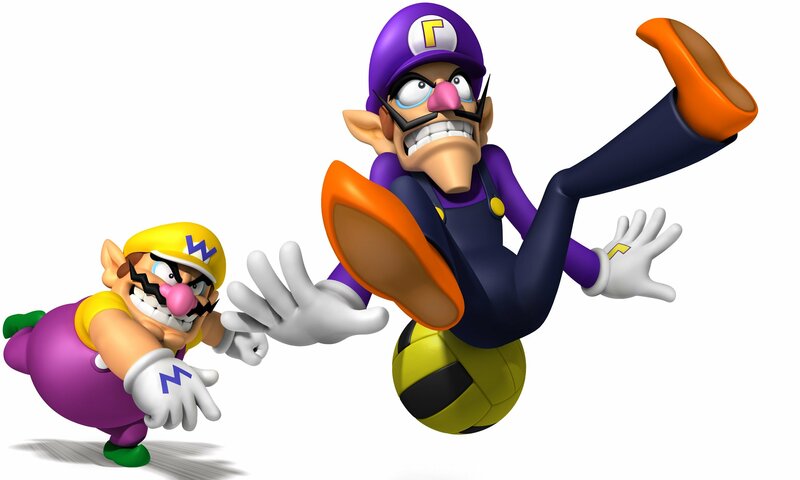 We think there’s a strong chance Nintendo may actually end up surprising fans with Waluigi DLC in the future. At least, we can hope Nintendo entertains this idea. Even though the immediate answer to his inclusion as a playable character is currently no, there’s plenty of room for this to change as long as fans remain consistent in supporting Waluigi. What are your thoughts on the matter? Do you think the push for Waluigi as a playable character in Super Smash Bros. Ultimate is nothing more than a temporary meme, or do you think it’s time for Nintendo to do more with Waluigi as a character? Let us know down in the comments below! For more on Super Smash Bros. Ultimate, be sure to check out some of our previous features including an answer to the question of whether or not Luigi is dead, a preview of new character arrivals Simon and Richter, and the full Super Smash Bros. Ultimate character roster.